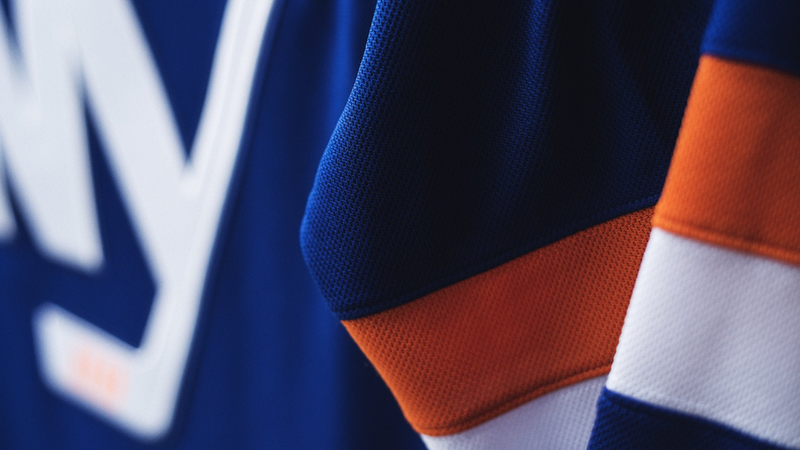 The New York Islanders finally revealed their new third jersey for 2018-19 — exactly one month after the design first leaked on Twitter. This morning’s unveiling confirmed the unauthorized sneak peek. 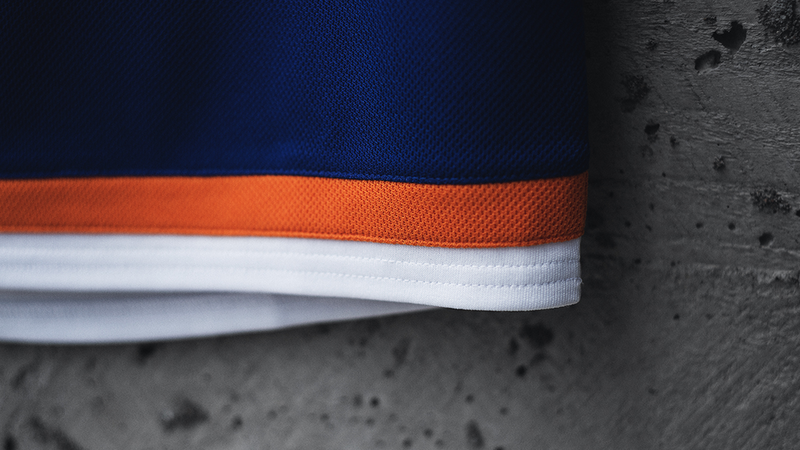 Blue with white shoulders and simple sleeve striping, the jersey is essentially an Adizero reimagining of the Isles’ 2014 NHL Stadium Series jersey — which became the club’s alternate uniform the following season. In fact, the new look feels right in line with the evolution of the team’s third in recent years. The Stadium Series jersey introduced non-traditional angular lines and elongated numbers. The black “Brooklyn” third jersey reigned in some of the wildness in 2015. They cleaned up the “NY” logo and simplified the striping. But the black wasn’t well-received by longtime fans. This new jersey feels like the perfect middle ground. The clean lines of the Brooklyn design with the classic colors of the Stadium look. It’s hard to find anything worth complaining about. If I had to pick one thing, it might’ve been nice to see them separate it a little more from the primary jerseys. They already wear royal blue. Maybe a third color could’ve been introduced here? But even as I say that, I wouldn’t advocate for it. Overall, I like this jersey. But for every detail I like, there’s one I don’t. The silhouette of Long Island in the collar is a nice hanger effect. But is it necessary to spell out “Islanders” on the back of the neck? Seems cooler without it. 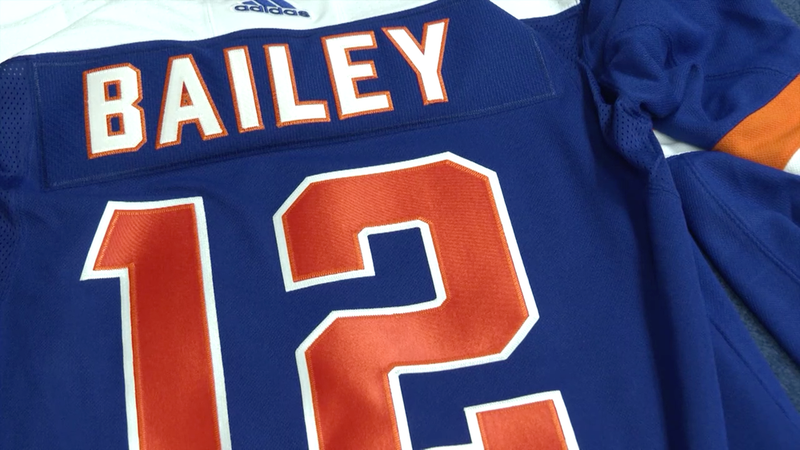 The orange numbers on the back are a nice nod to the team’s original uniforms. But why do they continue to insist on the four-stripe pattern on the crest? All right, on that last point I’m a little ambivalent. I used to be annoyed by it but enough Islander fans have gotten in my head about what a great accomplishment it was to take four consecutive Stanley Cups. And I might be more impressed if they hadn’t done it right after another team did the same thing. But you don’t see the Montreal Canadiens sticking four stripes all over everything. So I don’t know. Ambivalent. 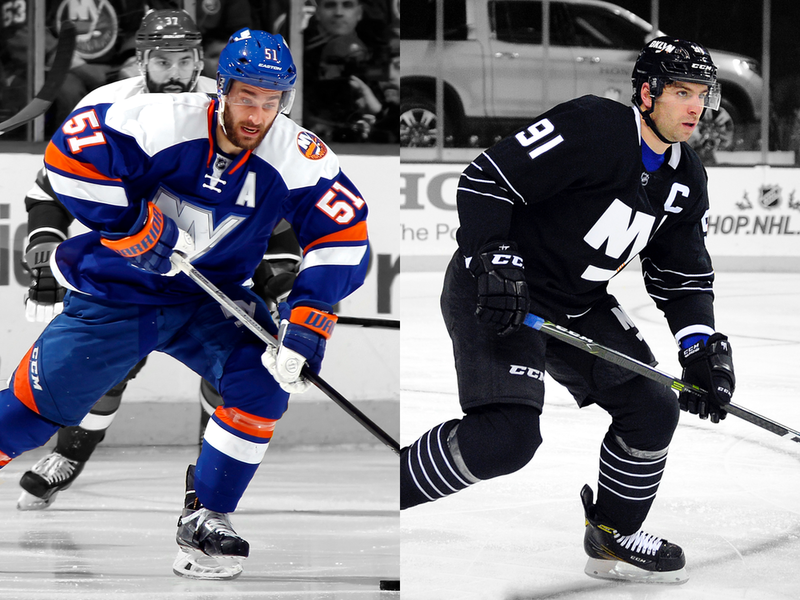 Anyway, it’s a nice third jersey and the Isles could do a lot worse. And have. Happy to see this one go from rumor to reality. What about you?